If you’ve had trouble sleeping lately, you may have been told to drink some tea to help you relax. It’s time-tested advice, but is there any scientific evidence to support tea’s sleep-enhancing properties? 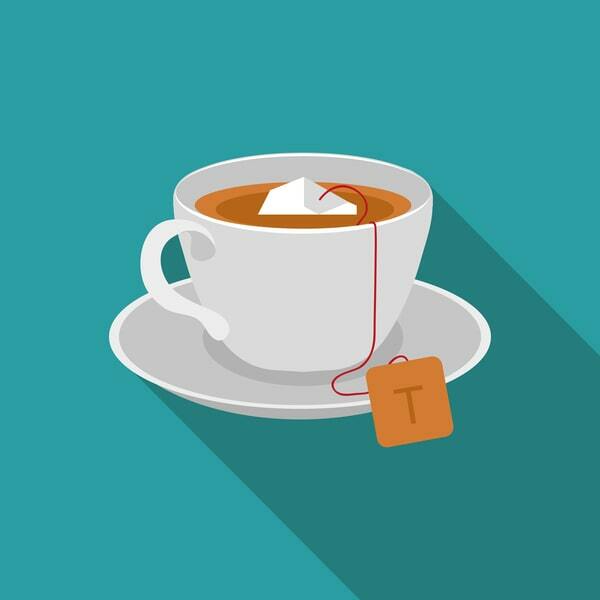 Tea is a rich source of L-theanine, an amino acid found in tea leaves that promotes calm, focus, relaxation, and — you guessed it — sleep. L-theanine was first discovered by Japanese scientists back in 1949 and has since been linked to a wide range of potential health benefits. In addition to promoting sleep and relaxation, L-theanine can help to promote “wakeful relaxation,” improve attention, memory, and learning, and help to maintain a healthy weight. Whether you like black tea, green tea, or white tea, you will benefit from adding L-theanine to your diet. Amino acids are the building blocks of almost all biological processes in the body. Our muscles, cells, and tissues are all made up of amino acids, each of which carries out an important bodily function. Boosts levels of calming brain chemicals: Studies on the effects of L-theanine in animals reveal that the compound increases serotonin, dopamine, and GABA levels in the brain.1 An increase in the level of these neurotransmitters is known to improve mood, reduce anxiety, and promote a calm state for a good night’s sleep. Heightens alpha brain waves: The second mechanism through which L-theanine induces a relaxed state is the enhancement of alpha waves in the brain. Research reveals that alpha brain waves, which are typically elevated during mindfulness meditation, are also elevated roughly 40 minutes after ingesting tea leaves with naturally occurring L-theanine.3 These results confirm that L-theanine can significantly mitigate the negative effects of stress and reduce anxiety by affecting brain waves. 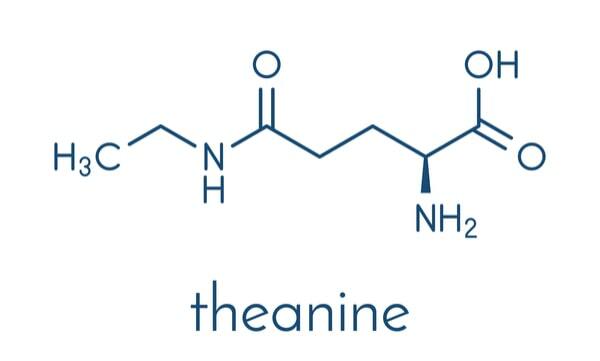 L-theanine does not act as a sedative, but by reducing stress and anxiety, it induces a restful sleep. Thanks to this boost of relaxation, L-theanine may help to decrease the amount of time it takes to fall asleep. The results of this study revealed that children who took a supplement of L-theanine obtained a significantly longer and more restful sleep than the placebo group. The implications of this research imply that L-theanine is a safe and effective supplement to improve sleep in children with ADHD. L-theanine has long been regarded as an “anxiolytic” or anxiety reducer. Unlike prescription medications, L-theanine is able to induce relaxation without causing sedation. L-theanine has beneficial effects on both the physical symptoms of stress, such as increased blood pressure and high heart rate, and mood. For the physical symptoms of anxiety, beta-blockers and benzodiazepines are typically a psychiatrist’s first line of defense. 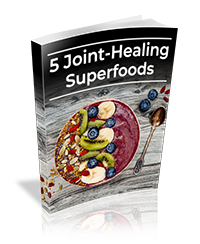 These medications work by decreasing blood pressure and reducing the “excitability” of neurotransmitters in the brain. Unfortunately, these medications are not only addictive and meant to be taken on a short-term basis, but they are also sometimes simply not an option for someone suffering from the physical manifestations of anxiety. 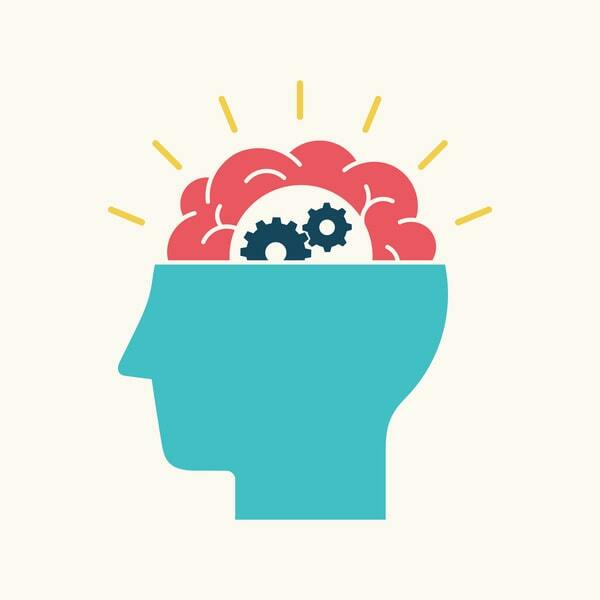 Individuals who suffer from dual diagnoses are typically not interested in taking many medications in order to control their symptoms due to interactions between psychiatric medications as well as an increased chance for “brain fog,” fatigue, and sedation. 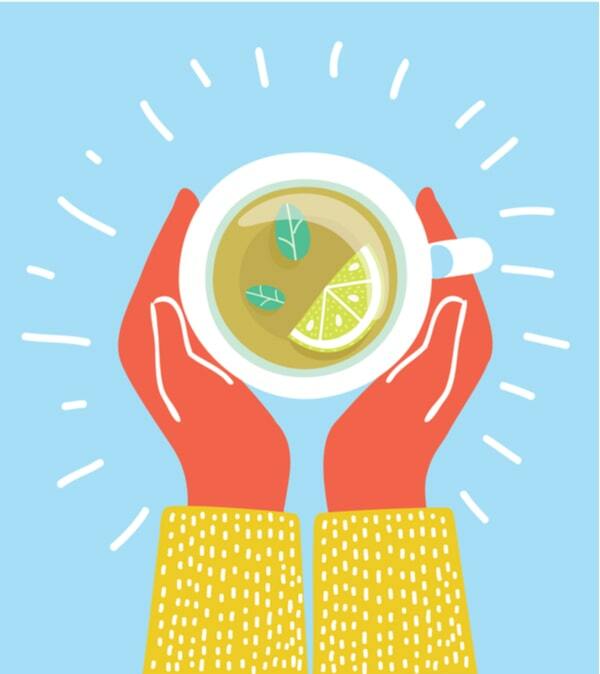 You may have heard that drinking green tea can benefit weight loss due to its antioxidant and metabolism-boosting properties. It turns out the presence of L-theanine may also help you lose weight. The sleep- and relaxation-inducing effects of L-theanine may be the key to your weight maintenance. Medical research has established that the increased circulation of cortisol and psychological stress contributes to the risk for obesity and metabolic syndrome.10 Sleep deprivation directly affects your hormones, especially cortisol. When your body does not fully relax at night, you maintain a higher level of cortisol. By shortening the time it takes for you to fall asleep and improving the restfulness of your night, L-theanine along with a healthy diet may help you avoid weight gain. L-theanine is not only found in tea. It is also identified in some types of mushrooms. L-theanine is understood to be one source of umami flavor. Umami is a type of taste, in addition to sweet, salty, sour, and bitter. It is savory, meaty, and brothy with a long-lasting aftertaste. Research reveals that umami is associated with greater post-meal satiety, resulting in better appetite control and healthy food behaviors in overweight and obese individuals. Try foods with L-theanine — this flavor may help you maintain a healthy weight. If you suffer from type 2 diabetes or the effects of high blood sugar, L-theanine may be the supplement for you. Recent research into the ability of L-theanine to modulate the absorption of nutrients reveals exciting results. A study examining rats implicates that the administration of L-theanine may affect the absorption of glucose by changing the gene expression of the small intestine. This is due to the body’s response to the amino acid. Supplementing the rat’s diet with L-theanine resulted in a decline of insulin secretion as well as glucose levels. L-theanine also reduced the uptake of carbohydrates and fatty acids.11 More research is necessary in humans to see if this result can be replicated. On top of improving your sleep and your mood, L-theanine may be beneficial for maintaining a healthy weight, improving cognitive abilities, reducing stress and anxiety, and leveling out your blood sugar. Do you think you’re ready to try L-theanine? Take a look at all the things you need to know about supplementing with L-theanine. L-theanine is typically consumed through tea. The highest levels of L-theanine are in black tea, but it is also present in green tea, white tea, and even mushrooms. Keep in mind that herbal teas do not contain tea leaves and therefore do not contain L-theanine. L-theanine is also present in tea leaves regardless of caffeine content (but don’t forget: caffeine combined with L-theanine is a great cognitive enhancer!). If you’re not a tea drinker, you can also purchase L-theanine in supplement form. The proper L-theanine dosage for sleep and stress is between 100 mg and 400 mg.
Keep in mind, it is generally recommended that users begin with the lowest suggested dose of L-theanine in order to monitor any reactions. Try gradually increasing your dose until you observe an effect. L-theanine has been consumed for centuries for its relaxation and sleep benefits, especially in Japanese traditional medicine. Although it has been around for a long time, the effects of L-theanine at large, daily, therapeutic doses have not been studied extensively in human research. However, so far, L-theanine has proved to be well tolerated by adults with a healthy lifestyle. 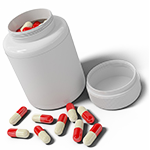 Dosage in children: Although research has noted therapeutic doses of L-theanine for children, talk to your pediatrician before supplementing your child’s health routine with L-theanine. You don’t have to be a tea drinker to benefit from the amino acid L-theanine. If you find value in any of the health properties of L-theanine, talk to your doctor about supplementing your current health routine with this wonder compound. Sleep well!